would you like me to write a blog, essay, make a short video clip, or market your product? This year as of 2014, it is the year of e-commerce, estore and e-Shopping. Many businessmen and women [and maybe even bloggers like you] are on the search for their big name e-hosting providers. Check her out on facebook, twitter, instagram, tumblr, pose, & weebly! So school's coming up in just a few weeks or so and then you realize out of all the many times you went shopping at the mall or some stores along the way, you don't have THAT PERFECT OUTFIT to start off the year that screams YOU! Well, i've got that covered! contact me or eshadresscollection about this Open House. Also, please check out my facebook page! I will need as many LIKES as I can get! I have created a Tumblr Blog as well. eshadresscollection presents Eid Bazaar Exhibition at the Marriott Hotel on August 4 from 10 am to 7 pm. They will be introducing their new collection of Palazzo Pants, which are the latest trends of this year right off the runway! They are known as the "Statement Trousers". 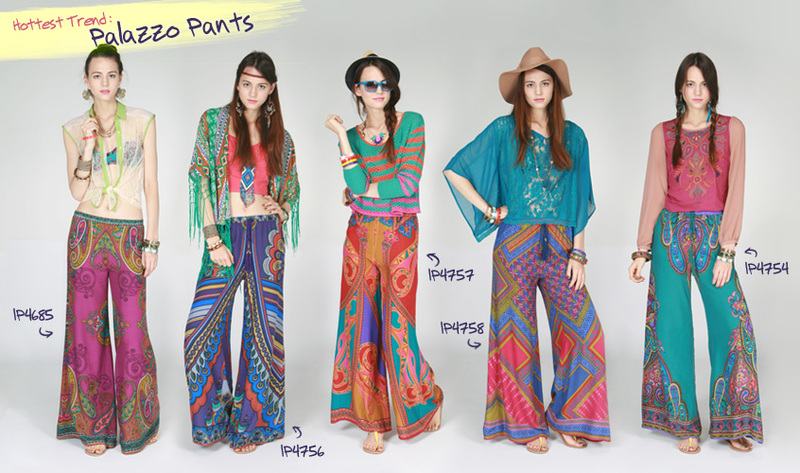 Palazzo Pants are very well-known through out the world; from Europe to Asia to America. Kurtis in the latest style in many different colors and designs will be available along with fancy formal dresses and casual wear. hot backpacks for this school year! Many people may have noticed, but haven't given much thought to the latest trends. 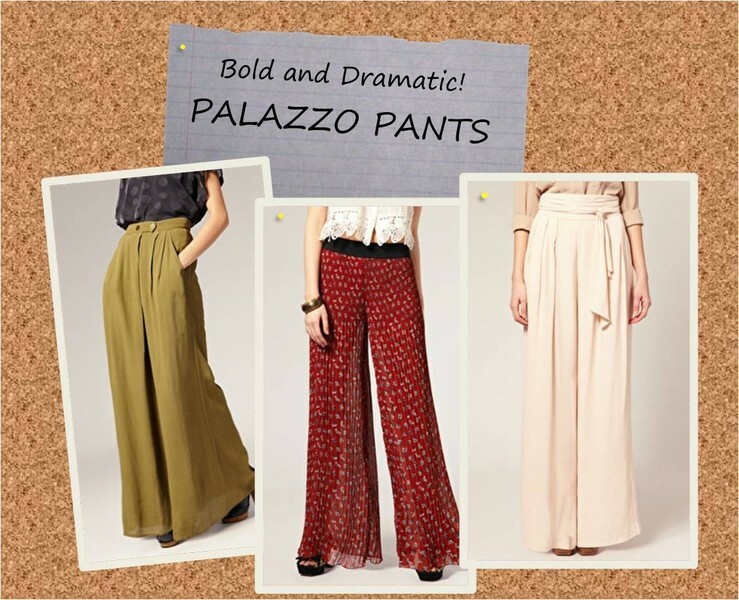 Palazzo Pants are totally in this season! Started off from the the runway, the long and loose pants flow down to just above the floor and can be paired with cute flats or sky-high wedges! These pants can be found in all different colors and designs. eshadresscollection has launched its new accessories today! The accessories include: earrings, necklaces, bracelets and bangles, scarves, and fashion bags. Check out only some of there accessories below.